Australia is the one of the world’s leading destinations which is preferred by immigrants. This ‘kangaroo nation’ is filled with resplendent attractions, supreme tourist places of interest, metropolitan cities and suitable climatic conditions. The country offers best in terms of education and employment opportunities. That’s the reason why more number of individuals are flocking to this resplendent nation year after year. If you wish to be a part of this wonderful country, think about immigration to Australia. 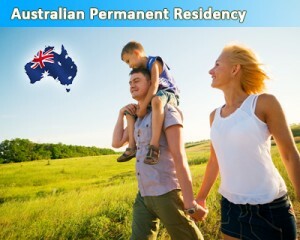 Australia is an extremely popular destination for immigrants who are willing to relocate from various countries from abroad. They get allured by the various advantages that Australia offers to its immigrants who come here in search of better jobs and employment prospects. As mentioned above, these advantages which are bestowed upon immigrants who come to Australia attract many people. For getting a Permanent Residency to Australia from India, you must meet certain criteria which are point based. These are the requirements of age, educational qualifications, work experience, English language competency and adaptability to the country. If you want to avail above benefits, approach MoreVisas by fillling out our Enquiry form.